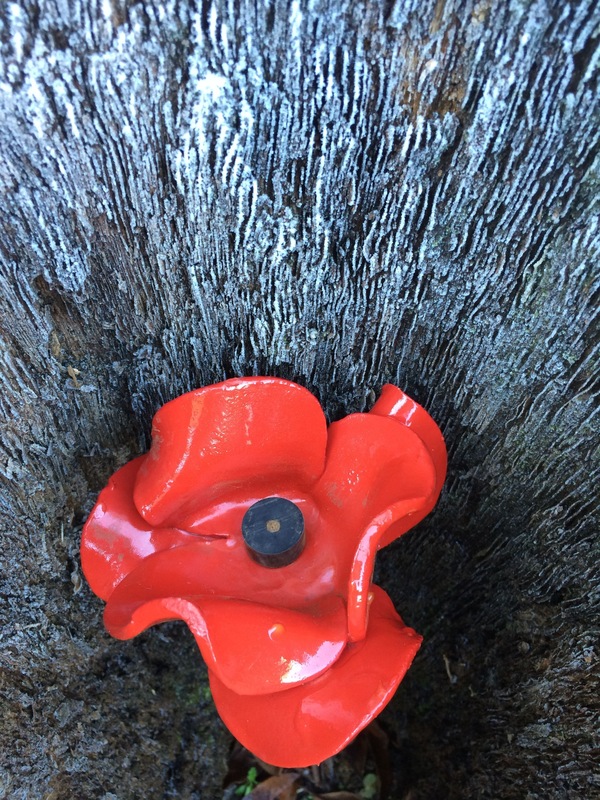 We are fortunate to own two of the ceramic poppies that were part of the remembrance display at the Tower of London last year. 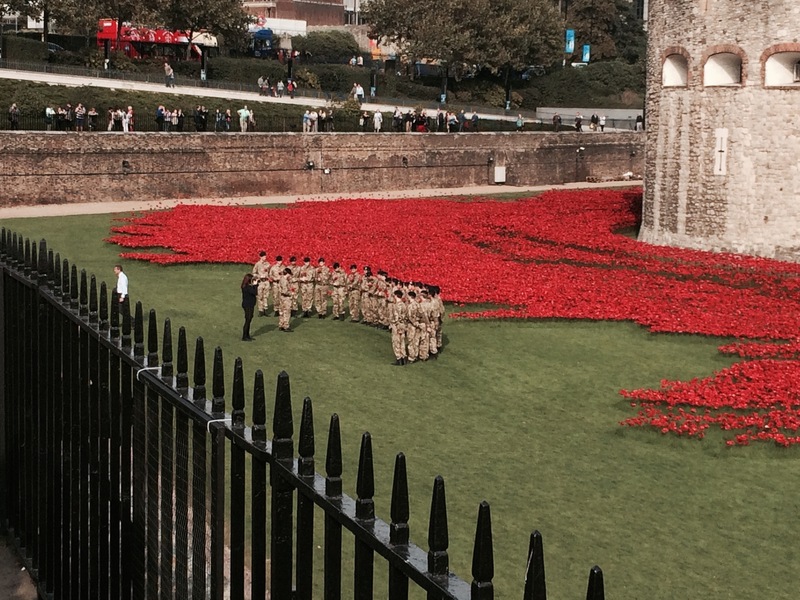 The 888,246 poppies were placed in the moat of the Tower between July and November. 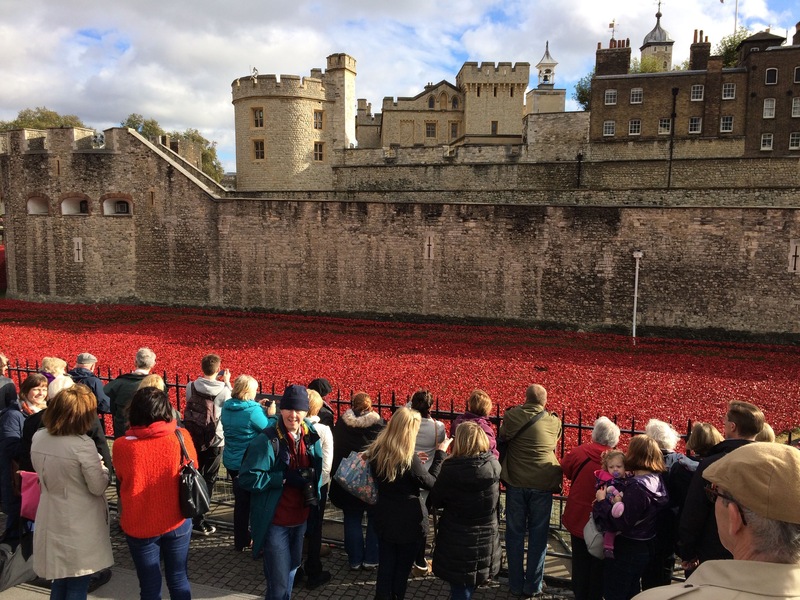 I visited the Tower on several occasions during those months, so saw the progress as the carpet of red grew. 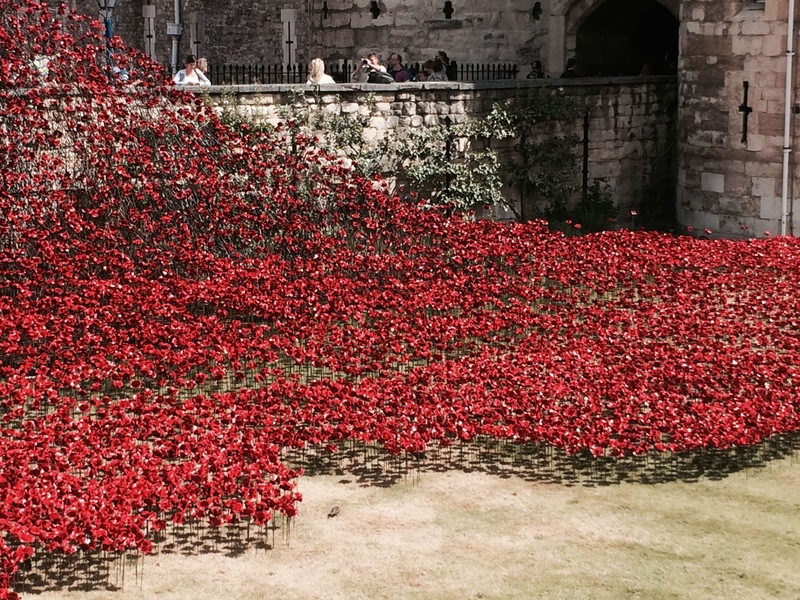 It was a stunning and moving sight, an original yet simple statement of remembrance. 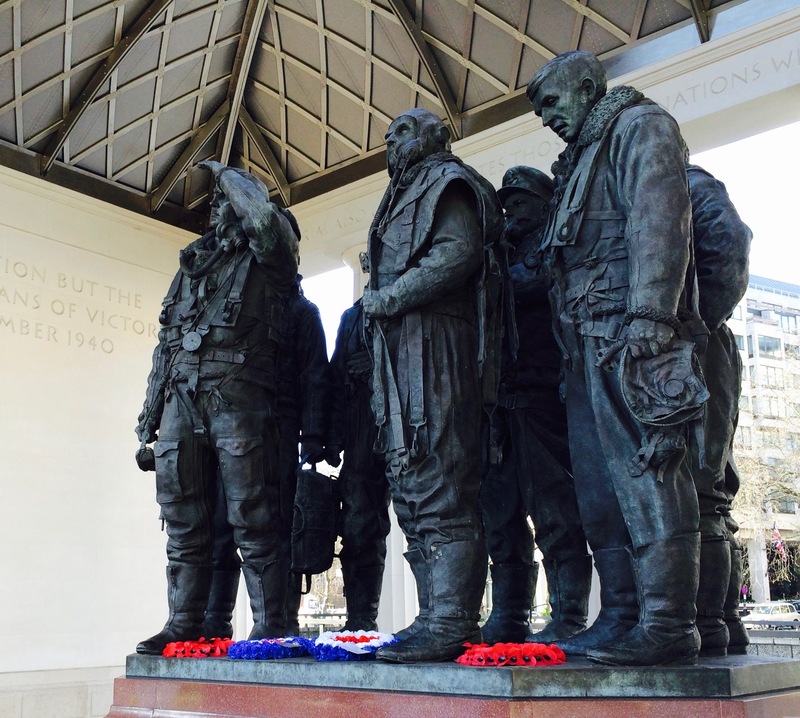 The poppies captured the public’s attention in a way that many permanent memorials do not. 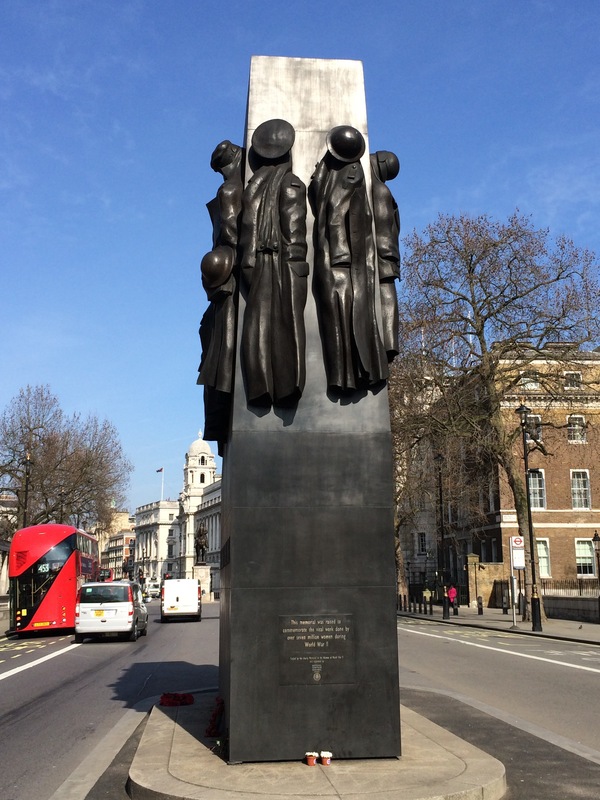 Along with the Cenotaph in London’s Whitehall, here are two relatively new WW2 memorials in London – Women of World War Two – RAF Bomber Command. 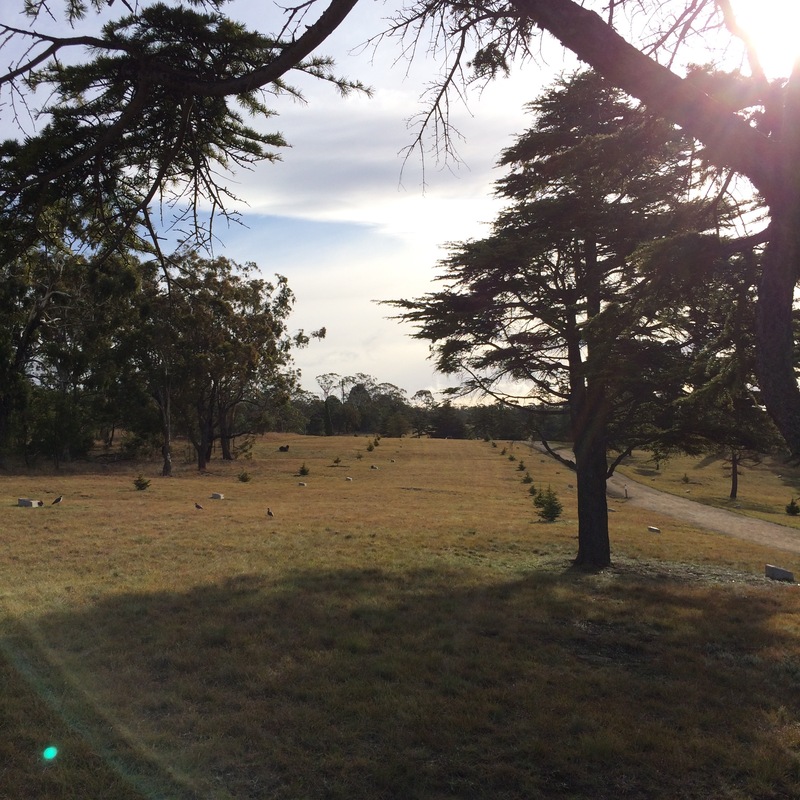 Here in Hobart, during 1918 and 1919, a quarter of the city’s population took part in planting 510 trees along a Soldier’s Memorial Avenue in the city’s Domain. 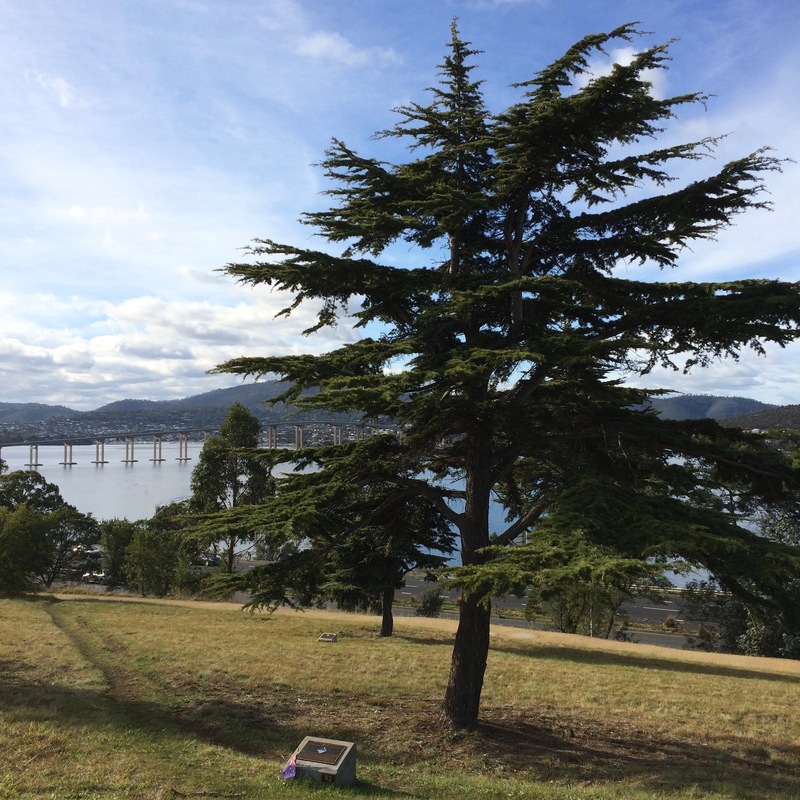 A tree and a plaque in remembrance for each of the Hobart citizen’s who died during the First World War. 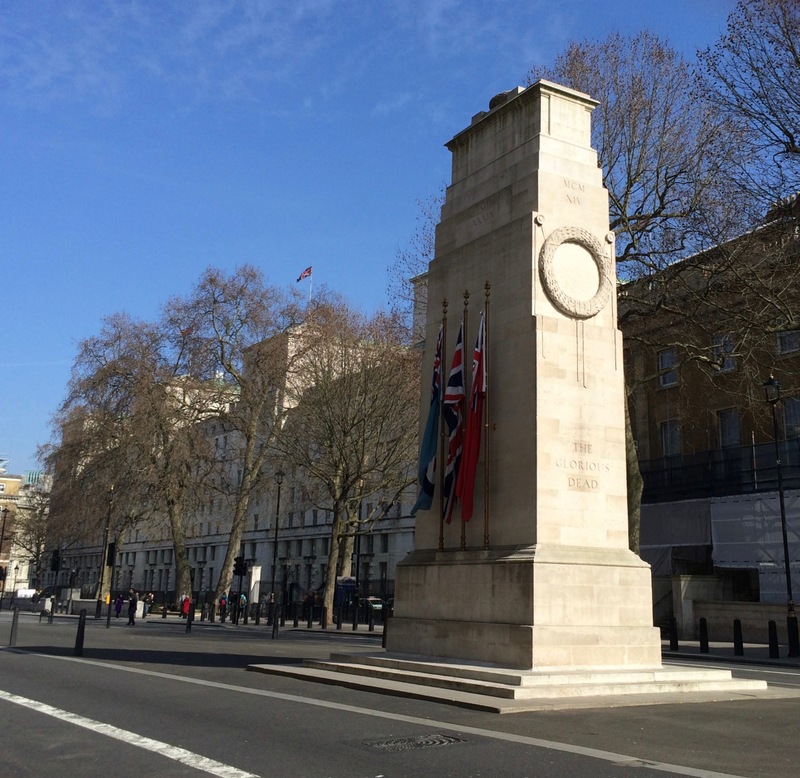 One hundred years on, some tree’s have been replanted but the avenue is still a poignant and peaceful place overlooking the river, city and cenotaph. 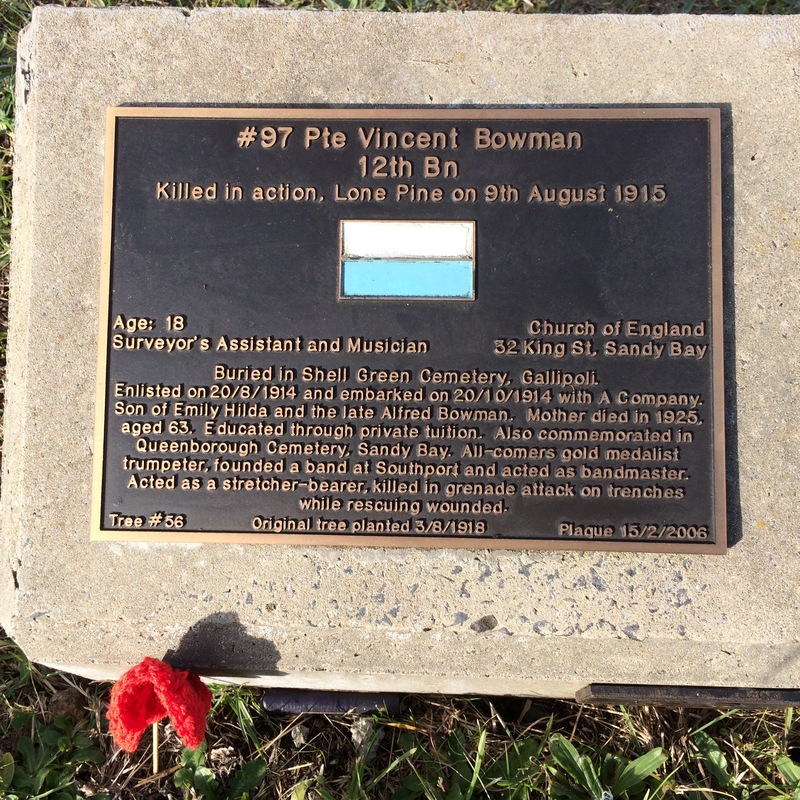 dawn service and parade, poppies are sold here in Australia and there will be a silence to mark the 11th hour of the 11th day of the 11th month, when WW1 guns fell silent. 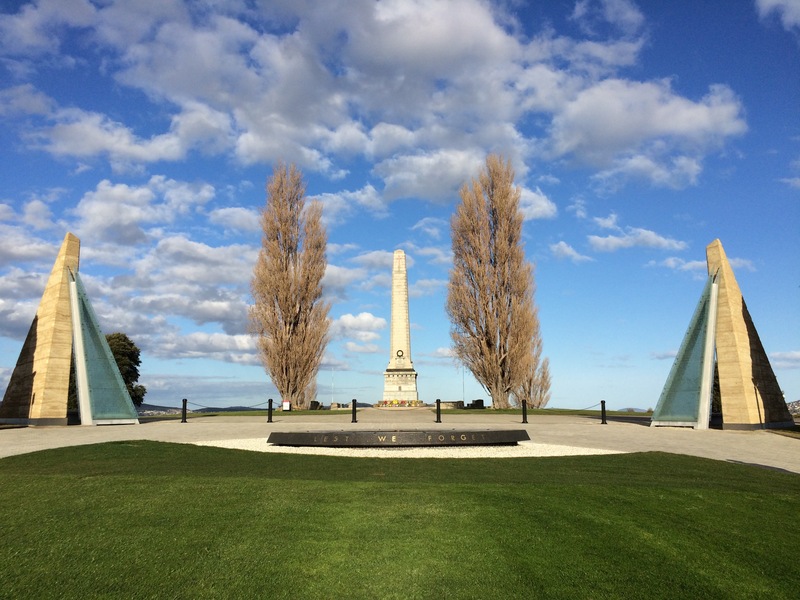 As we continue to commemorate the centenary of the First World War, it is a time to remember all wars and conflicts, all military personnel involved. Tomorrow we will be commemorating Remembrance Day in Canada. I grew up in a home that always treated this day with solemnity. I heard a very good essay on the radio this morning about Remembrance Day and the humanitarian work routinely done by the military. His point was that we think of Remembrance Day only in terms of war, conflict, violence … when actually the people who serve should also be honoured for the humanitarian burden they bear during *peace time* such as natural disasters. He certainly gave me food for thought. I now have many reasons to remember and be grateful tomorrow. Thanks for this comment Joanne. We often forget the peace time commitment of our military personnel and the ongoing support of their families. 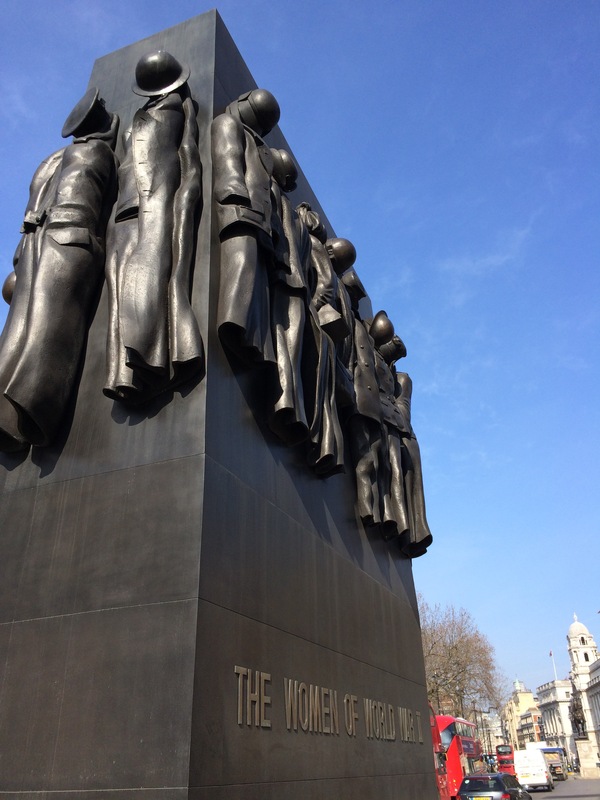 I’m very taken with that Women at War memorial too. Such an evocative piece! Thanks Jo. The current poppy display in Liverpool looks lovely. Stunning when you see all of them together! A really beautiful tribute. 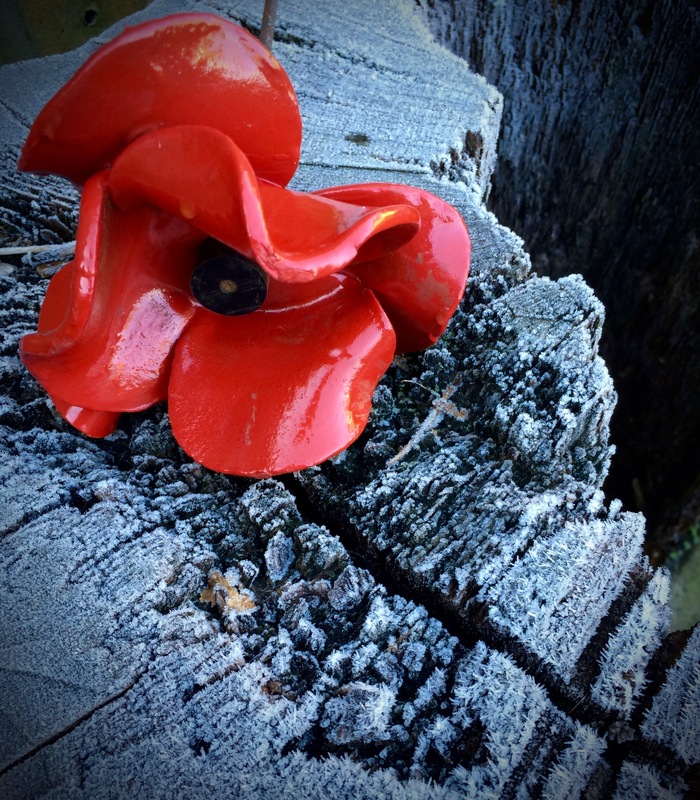 The poppies are beautiful, individually and collectively. What a wonderful tribute!